The Hanoi Opera House and Saigon Opera House are both very popular theaters in Vietnam. Locals and tourists flock to these theaters to watch quality performances in the form of operas, musicals, and symphonies. Located in central Hanoi, the Hanoi Opera House was built in the early 1900s under the French colonial administration. The opera house was modeled after the Palais Garnier, an opera house in Paris, and is viewed as one of Hanoi’s architectural landmarks. The Saigon Opera House, on the other hand, was erected in 1897. Located in Ho Chi Minh City – formerly known as Saigon – the 800-seat building was converted for use by Vietnam’s Lower House assembly in 1956. In 1975, it reverted to being an opera house; it underwent restoration in 1995. Both opera houses have a rich history in Vietnam, and the performances you can watch in them are memorable. If you are a fan of the performing arts, you should take time to visit the Hanoi Opera House or Saigon Opera House – maybe even both. In both Hanoi and Ho Chi Minh, one of the first things you would notice would be the number of scooters on the streets. There are so many of them, you would feel like you’re wading through a sea of scooters when you’re walking around the place. So don’t walk around. Rent your own scooter, for only $5 a day! Then you won’t have to feel like a fish out of water as you navigate through the city streets. Keep in mind, however, that scooters are best (read: more safe and more fun) to use in areas outside the city. You could ride across the beach to have a view of the sunrise or sunset, or through natural rural areas where you could marvel at the fauna and flora. Riding a scooter in Vietnam is much different from riding a scooter or motorcycle back home, simply because there are so many unique things to see and places to go to in this country. So rent a scooter and make the most out of the views in Vietnam. 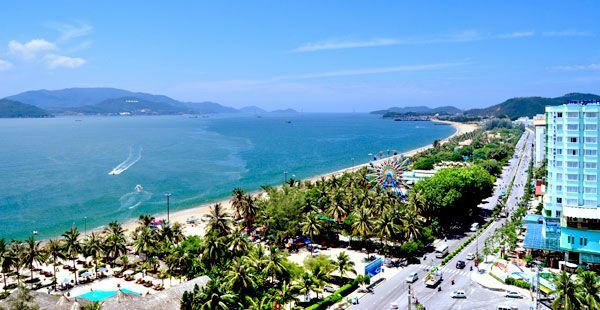 Vietnam is known for its high regard for nature preservation. The Cuc-Phong National Park is a testament to this. Located in the outskirts of Hanoi, this nature reserve is one of the last tropical primeval forest reserves in the world. Most of the species that the park cultivates are unique – that is, they are extinct everywhere else. The 61,000 acres of the Cuc-Phong National Park hold 64 species of fauna and thousands of species of flora. Included in these species are flying lizards and exotic monkeys, which visitors will see on treetops. Caves and grottos, where various artifacts have been discovered, can also be found in the mountains within the park’s vicinity. A sanctuary for fauna and flora, the Cuc-Phong National Park is a must-see place for nature lovers, as it gives you a chance to see what our world would look like if everyone would do their part in taking care of it. Nightlife in Vietnam depends on where you are staying in the country. In Ho Chi Minh, bars and clubs range from dingy to upmarket. Most of these venues are located in District 1. In Hanoi, the nightlife is much quieter, and activity starts to settle down by 10:00 PM. Most of the night establishments here are located in the Old Quarter and near Hoan Kiem Lake. In Hoi An, you would find good cafés to while away at night. Live music in these night establishments, especially in international hotels, is provided by international performers from nearby Asian countries such as the Philippines and Thailand. For a more cultural experience, you may want to check out the very entertaining water puppet theatre. But if you are craving for a Vietnamese social experience, try going to a bia hois, or pavement pub, where friendly locals will merrily drink, eat, and chat with tourists. 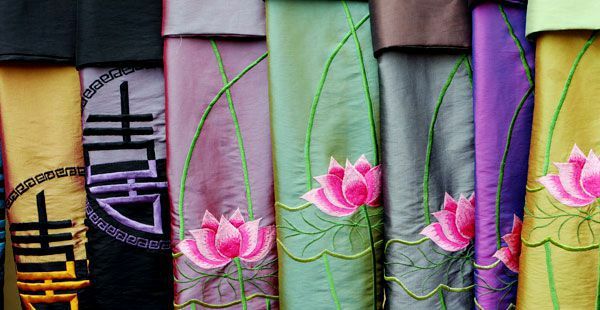 Vietnam is known for its exquisite handicrafts, and even more so, for the bargains you can get. Clothes being sold in the country, especially in Hoi An, have particularly good value. Other items that might catch your eye include water puppets made of wood, ceramics, silk, lacquerware, tribal bags, and hand-painted greeting cards made of silk. 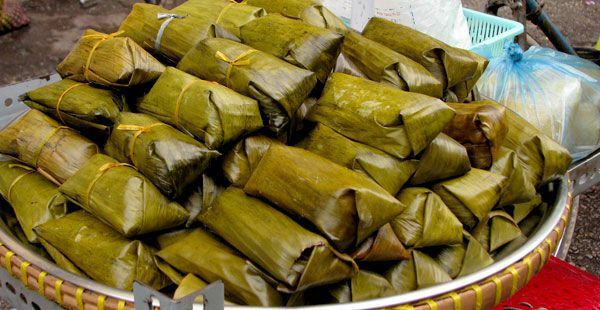 Every town and city in Vietnam has its own markets, and you should take time to visit these markets not just to shop, but also to experience the Vietnamese market life. Upscale shopping malls have also been established in Hanoi and Ho Chi Minh, where you can buy both local and international products. In the market and in small shops, bargaining and haggling with the store keeper is welcome – as long as you do it politely. Avoid haggling in the upscale shopping malls, though.